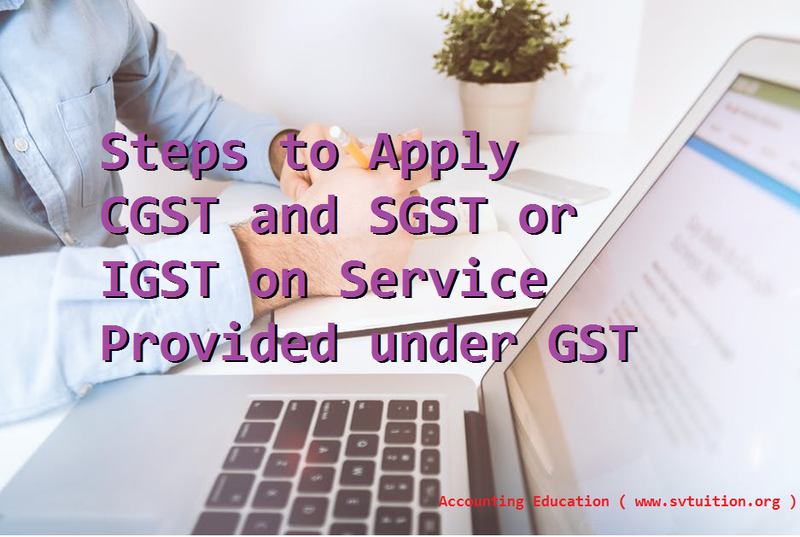 If you fill the GST return online in GST portal or you have to do GST accounting treatment of your provided services, you have to decide which will you apply CGST and SGST or IGST. So, basic rule for this is simple. Rule 1st : If the location of supplier of service and location of recipient of service is same, then CGST and SGST will apply. Rule 2nd : If the location of supplier of service and location of recipient of service or place of supply is in two different state, IGST will apply. For example, I am tutor, I am living in Ludhiana ( Punjab). My coaching business is registered in Ludhiana ( Punjab). I have opened my coaching center in Ludhiana ( Punjab) for supplying of my service of coaching to students in Delhi because almost students of Delhi. So, state location of supplier and receiver of service is different. So, After getting GST from my students, I will deposit tax in IGST in GST Portal and it is duty of Central to give input credit to state where students are consuming my service. GST is consumption tax. Where the service will consume, state has right to get its reward in the form of tax.